A domain name's value can range between a few dollars and several millions of dollars, CarInsurance.com was sold in 2010 for $49.7 million. Your success in this business lies in your ability to get a valuable name at a cheap price and then sell at a higher price. Proper domain appraisal is very important if you want to make a fortune in this business. 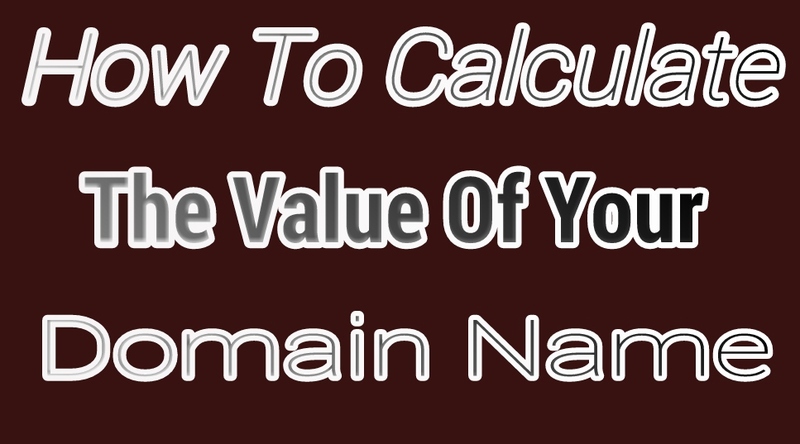 Here are the techniques you can use to get an estimate value of a domain name so that you will be able to make money online. It is very important for you to be familiar with recent domain sales so that you will have an idea of what sells. You will have the opportunity of seeing what people are buying and the amount they are buying them. DNJournal and Namebio are top sites to get this type of information. However, you should take note that the reported sales are just some of the total sales but this information can help you in appraising a name. There are many appraisal tools that can be used to evaluate your domain name. Majority of these appraisal tools make use of algorithms that consider keywords, monthly searches, cost per click, Alexa rank and so on. Some popular appraisal tools include Estibot, Valuate, Godaddy Appraisal Tool, just to mention a few. The use of these tools is just the first step in the appraisal process because some factors may not be considered by the appraisal robots. If you have taken the necessary steps to evaluate your domain, there are other factors you need to consider. By considering these factors, you will be able to position yourself for a more profitable business. There are many top-level domains (TLDs) like .com, .net, .info, .biz, .org, .tech, and so on, but in all sincerity, .com takes the market by storm. The .com is the first TLD and it is the most popular. In fact, the internet is generally associated with .com, consequently, names ending with .com perform better in the market than others. You can easily sell other TLDs but not as high as you would sell a .com. For example, a buyer will prefer to buy car.com instead of car.net or car.info. The shorter a domain name is, the higher its price would be. If you can lay your hands on a short one, you have definitely hit a goldmine. Even though they are very hard to find, you may be lucky to get one if you are ready to pay the price. It must sound good and easily understandable. People hearing it should be able to remember it quickly and write it down easily. Its spelling should not be complicated and must be the right spelling. If it causes confusion in any of the aforementioned ways, it may not be marketable. Some keywords are hot online and if you have names relevant to them, you may be having a hot cake. You can use keyword planning tools like Google Keyword Planner or Wordtracker to see the popularity of keywords. However, it is not advisable to use long keywords just because they have a high keyword value. Domaining is mostly concerned with selling short names. Hence, you should keep your keywords as short as possible. If you can lay your hands on brandable names and you are ready to keep them, you may be in for a big deal. Even though there are risks associated with brandables, e.g. trademark issues, if you carry out your research properly, you should be able to get those that are free of any hassle. You know that they say old wine tastes better than new one, the same goes for domain trading. The older, the better and this is because of some SEO properties attached to old domain names. 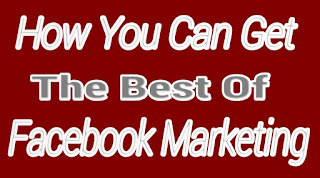 They have been indexed, ranked by Google and Alexa, have backlinks and so on. If you add up these properties, you are going to get a valuable digital asset. When a domain is already generating traffic, it will add more to its value. It may be an expired domain that was generating traffic and if you are able catch such an asset, you will be more profitable in the business. Take note that we are not talking about a fully developed site here but just a TLD. There are lots of domains generating traffic and your ability to get them will go a long way in adding value to your business. 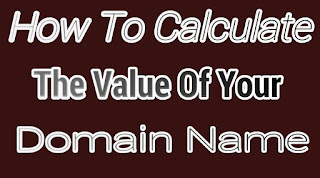 There is no fixed formula that can be used to calculate the exact worth of a domain name. What is most important is the willingness of the buyer and your negotiation skills. A name may be valuable to you but no one is willing to pay for it. As a result of this, you should know how to play the waiting game. The more you hold on to a valuable name, the more its value increases and that's why the business is referred to as the real estate of the digital world. The end-user value of a domain is the most important factor that determines its price. What will an end user use it for? 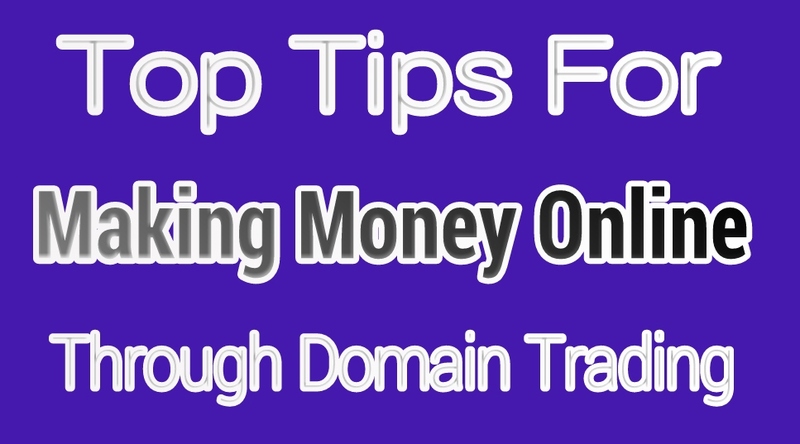 In order to make money online trading domain names, you need to do everything possible to get the most out of the business. Coming up with the right value is very vital and it will determine how far you can go. If you are able to put various factors together and follow the best industry's practises, you will definitely make a fortune for yourself. Like every other business, it takes time before you can build up a portfolio that will make you rich. As a result of this, you should do everything possible to build a portfolio that can stand the test of time. 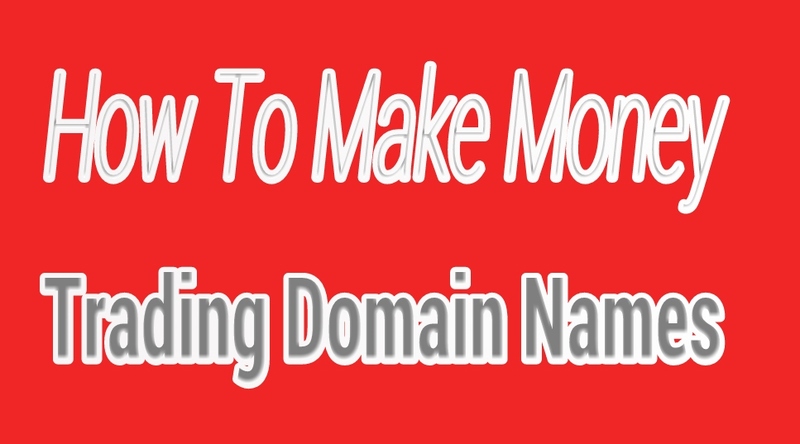 You can really make money online buying and selling domain names but you need to understand the workings of the market in order to take advantage of it. You might have heard that some domains were sold for thousands or even millions of dollars (fly.com was sold for $2.89 million in 2017, freedom.com was sold for $2 million in 2017, place.com was sold for $550,000 in 2017, etc), but there are many names that will never sell in the market. Hence, the success in this business relies on your ability to know the names that will sell and those that will not. The names that sell these days are one-word, two-word and, occasionally, three-word .com English dictionary words that belong to popular categories. There may be some exceptions to this rule but it is better for you to play on a safer side. The truth of the matter is that only quality domain names will sell and it is very important for you to identify and buy them. 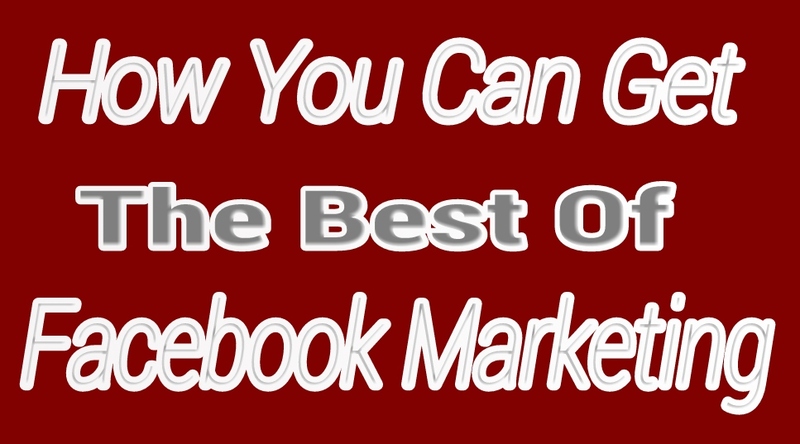 There are some best practises you need to take into consideration when selling so that you will be able to make money online. Some of them are treated in this piece for your reading pleasure. In order to boost your chance of selling your name, you should make sure that its home page has something to show visitors that it is for sale. There is every possibility that a prospective buyer will visit and when you have this information about the selling status and how to contact you on the home page, it makes the job easier. You can get this type of landing page from your registrar and some trading platforms also provide such services, most times, free of charge. You can also link the home page to the corresponding sales page on your favourite marketplace. The major aim of this approach is to make it more convenient for a buyer to get in touch with you. There are many domain trading platforms but some are far better than others. As far as I don't want to sound like an affiliate of any trading platform, it is advisable for you to check the popularity of a platform before selling there. You can check their Alexa ranking and this will go a long way in helping you to measure their level of popularity. However, some of the popular trading platforms I know are Sedo, Godaddy, Flippa, Afternic, Namejet, just to mention a few. Pricing is very vital in this business. You should avoid overpricing as well as underpricing because both can affect your sales positively and negatively. You may be motivated by reported six-figure or seven-figure sales like the ones mentioned above, and think that every domain is like that. It doesn't work that way. There are many domain appraisal tools that can assist you in coming up with the right price. The popular ones are Estibot, Valuate, Flippa and Godaddy appraisal tools. It is advisable to combine these tools with human appraisal option which can be found on Namepros. 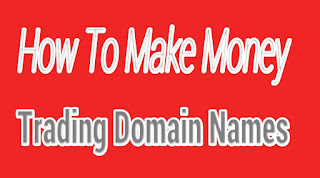 There are two pricing methods in domain trading - make offer and buy it now. The make offer method involves asking your buyers to make offer on your name. This method is good if you want to hold on to a domain until the big buyer shows up. The buy it now method allows for quick sales because a buyer will be able to quickly make a decision on whether to buy or not. Weekly reports from top marketplaces reveal that majority of sales take place through the buy it now method. Our world is getting busier than ever, however, no matter how busy you are, it is very essential for you to respond to domain sale inquiries within 24 hours. If you don't respond quickly, you may end up losing your buyers. Buyers don't like non-responsive sellers and there have been cases of sellers losing possible six-figure deals because they didn't reply quickly to buyers' inquiries, some don't even reply at all. The use of Whois privacy service is not advisable for you if you want to make money online trading domain names. The privacy service is good as it will reduce spam messages in your inbox but it will not allow potential buyers to get in touch with you. If you are using a Whois privacy service, you can ask your registrar to remove it so that your chances of selling are boosted. Your Whois record can be optimized for sale by strategically putting a 'for sale' message in the record. You can do this by filling 'This Domain is For Sale' in the space provided for company name in the Whois record section. You may also use a customized email in the record to indicate that it is for sale. Instead of setting your price at $200, why not use $199. The latter will be more appealing to a buyer than the former and this is what is called charm pricing. It is a retail psychology that has been used for many products and it has statistically proven to be very effective. The use of charm pricing will help in boosting your domain sales. 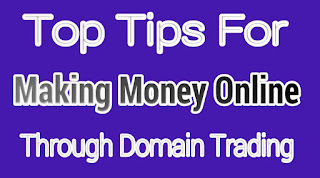 In order to make money online through domain trading, you need to take the right steps in the right direction. You should learn everything possible before venturing into the business so that the terrain will be easier for you to navigate. Just like in every other business, you need hard work and luck, but it is very vital for you to get a mentor that will pull you along so that the rate at which you will make mistakes is drastically reduced. ScarletClicks is a paid-to-click (PTC) website where you get paid to read or view adverts. ScarletClicks was founded in May, 2009 by Dimitrios “Kordim” Kornelatos who is a Greek. Since 2009, the website has been consistent with lots of positive reviews from users who have shown proofs of timely payments and excellent customer support. We tested the platform to discover if it is possible for you to make money online with it and our findings are revealed below for your reading pleasure. How Much Can You Make On ScarletClicks? ScarletClicks is a paid-to-click (PTC) website where you get paid for viewing adverts. If you register as a standard member, you will be given about 6 adverts to view in which each of them will fetch you $0.001 and more than 30 adverts with the earning potential of each ranging between $0.0002 and $0.0005. If you upgrade your account, your earning potential is boosted. In addition to all the benefits of a standard member, you will receive 6 premium adverts and each of them will fetch you $0.01. As a standard member, you will be paid 40% commission on all the adverts that your referrals view but you will get 100% if you are an upgraded member. For example, if your referral earns $1 by viewing adverts, you will receive 40 cents as a standard member or $1 as an upgraded member. ScarletClicks gives you the opportunity to rent referrals if you are someone that is not good in referring people. You will get the same 40% from your rented referrals as a standard member and 100% as an upgraded member. The trick here is to get as many referrals as possible in order to enhance your earning. You will also get a discount when you extend your referral activities. You will also be paid $0.5 anytime your referrals upgrade their membership plans but you must be an upgraded member in the Monthly Gold Plus, Yearly Silver, Yearly Gold or Yearly Gold Plus membership plan to enjoy this, while those on Diamond membership plan receive $1. You will also get 5% commission when your referrals purchase adverts. There are other special earning offers on ScarletClicks like paid-to-sign up offers where you get paid for signing up on some websites and the pay here is higher than just viewing adverts. There is also the ScarletGrid game which gives you the opportunity to win $1 for clicking on a picture. As a standard member, you will be given 20 chances and this is increased if you are an upgraded member. 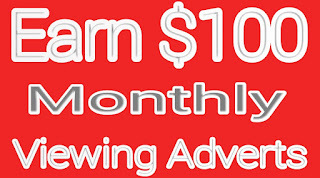 There are presently eight membership plans on ScarletClicks; Standard ($0), Monthly Silver ($5 per month) , Monthly Gold ($10 per month), Monthly Gold Plus ($30 per month), Yearly Silver ($50 per annum), Yearly Gold ($100 per annum), Yearly Gold Plus ($300 per annum) and Diamond ($700 per annum). ScarletClicks Cashout Methods - Are They Paying? Our research shows that they have been paying since 2009 without hassles and are still paying up till now. Their minimum payout is $2 and they have many payout options like Skrill, Bitcoin, SolidtrustPay, Neteller, Litecoin, Payeer, Perfect Money and Dash. If you want to see their proofs of payment, you can visit their forum page and click on 'proof of payments' at the bottom of the page. Our research shows that ScarletClicks has one of the most active rented referral base in the PTC industry. Since they make it mandatory for all members to click at least four adverts daily in order to earn from referrals, this has led to a very active rented referral base. Furthermore, it is easier to manage referrals compared to other PTC sites because ScarletClicks referrals are very active and it is advisable to replace those who are not active for four days or more. You can dedicate just 30 minutes daily to your ScarletClicks account and ensure that you click as many ads as possible. If you are a standard member, it is not advisable for you to rent referrals because it will not be profitable for you. If you want to remain a standard member, just have fun and take it as a game that pays. It makes a lot of sense to upgrade your account in order to get the full benefits of the website. It is advisable for you to upgrade to any of the yearly plan so that you will get a discount but if you can't afford that, you can start with any of the monthly plans. There is a limit to the amount you can earn from your own clicks, hence, renting referrals is an ideal thing to do. The more the number of your referrals, the more money you are going to make. When you extend the activities of your referrals, you will be getting discounts depending on the tenure of the extension. This will reduce your cost and boost your return on investment (ROI). If you upgrade to monthly silver plan with $5 and rent 200 referrals with $30, you will invest $35 monthly. 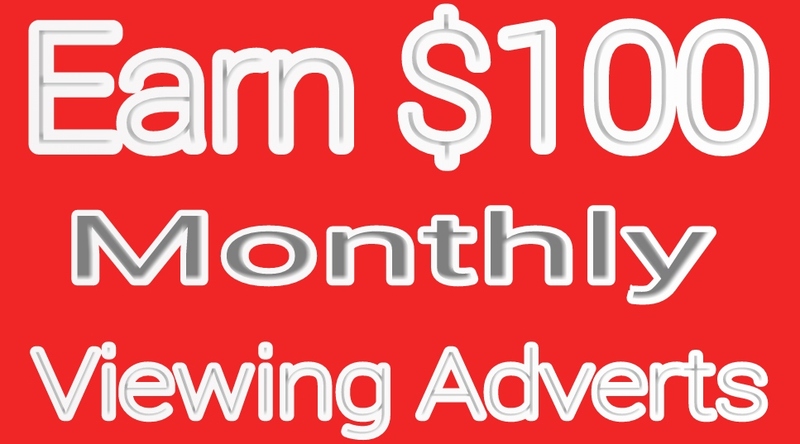 If your 200 rented referrals are upgraded members and each of them view at least 4 adverts daily (it is compulsory for every member to view at least 4 adverts daily), you will earn 0.04 x 200 x 30 = $240 monthly, giving you a profit of $205 monthly. 1. High rented referral activity and opportunity to manage them easily. 2. Opportunity to get unlimited referrals. 3. 100% direct referral commission for upgraded members. 4. Flexibility in payout-out options. 5. Prompt payment of members. 6. Trusted admin since 2009. 1. You can't earn much as a standard member. 2. No micro task to boost your income. 3. You need to click at least 4 adverts daily to earn from your referrals but you can purchase vacation days to avoid this. ScarletClicks is a good way to make money online but you need to be an upgraded member to boost your earning from their get paid to view adverts. There is no limit to how much you can earn depending on your investment and marketing capabilities. It is cheaper to rent referrals on ScarletClicks than other PTC sites and their rented referrals are very active.